The SLI connector is a proprietary link between GPUs that transmits synchronization, display, and pixel data. The SLI connector enables inter-GPU communication of up to 1GB/s, consuming no bandwidth over the PCI Express bus. SLI connectors are included with all NVIDIA SLI-Ready motherboards and with all SLI-Ready PCs. If your motherboard supports SLI technology and did not come with these connectors, please contact the manufacturer of your motherboard or PC to obtain them. 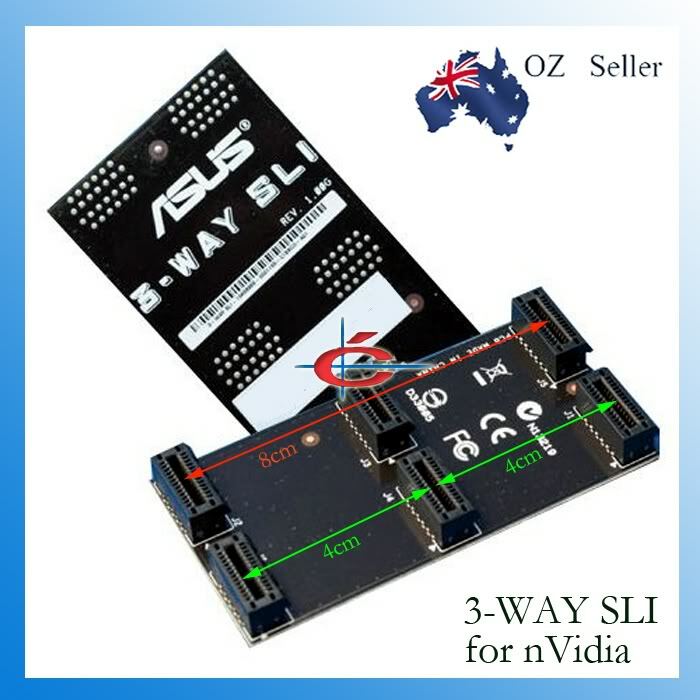 If you need to purchase an SLI connector as a replacement or as an upgrade to 3-way SLI for an existing nForce 680i motherboard, users can find the connectors for sale on SLI motherboard partner websites.